London is one of the most visited cities in the world. It is packed with amazing museums, lavish streets, mesmerising monuments and grant palaces. 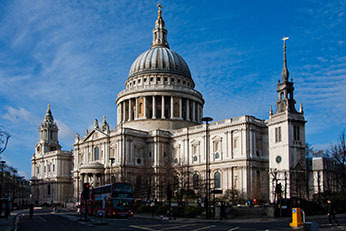 There are also numerous authentic attractions that travelers can only experience in the English capital. Here are some of the most unique one of kind experienced that London offers to its visitors and residents. Climbing the Dome of St. Paul’s Cathedral – Built by Sir Christopher Wren, St. Paul’s Cathedral is one of London’s most renowned edifices and landmarks. And while more people are busy exploring the building from the inside and gazing the amazing view that the dome provides, very few know that they can actually climb the dome’s highest levels known as the Golden Gallery and enjoy a 360 degrees panorama of the English capital. Following the British monarchs – London is heavily linked with British royalties and this is why there is an abundance of locations which you can visit and learn more about the former, current and future rulers of the United Kingdom. For example Westminster Abbey has been the coronation site of almost all British monarchs since the mid-11th century while Hampton Court Palace was the favorite strutting location of King Henry VIII. You can also visit both Windsor Castle and Buckingham Palace as they are the official residence of the British Royal Family. You can visit all these places or only one of them as soon as your relocation is over. You can speed up the process by using professional removal services. Commemorating the hardships of WWII – Seven decades have passed since World War II ended but the ravaging German Blitz attacks are still fresh in the memories of Londoners. You can learn more about these dangerous times by visiting a number of venues which are decided to that particular chapter of British history. Places such as the Churchill War Rooms, the HMS Belfast and the Museum of London Docklands will allow you to sink deep into the events of WWII and feel the struggles through which the British people had to go in order to survive. You can also visit the Imperial War Museum which is honoring the events of World War I. Participate in a tea ceremony – There are several venues throughout the English capital that organise traditional tea parties during which the serving ritual is followed to the letter. So, if you are an avid tea aficionado you should definitely go have a cup at the Langham on Regent Street or the Brown’s, Fortnum and Mason in Piccadilly in the City of Westminster. But before you do so, make sure that you arrange all the details with the company that provided you removal services. Fly onboard the London Eye – The London Eye is one of the tallest and largest Ferris wheels on the planet. It was opened to the public in 2000 and provides some of the most astounding views of the city. It has a total capacity of 800 people which are separated into 32 capsules which represented the 32 main areas of the capital.